Money Skills 201- Understanding your Credit Score in depth! These are lecture notes I use to teach students how credit cards and credit scores work. It is exhaustive and up to date as to how companies are currently calculating credit scores. 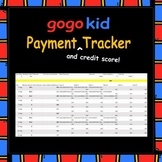 This is an activity in a series of activities designed to familiarize students with credit and credit cards. 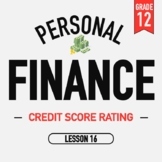 In this activity, students are introduced to what a credit score is and how your credit score affects your financial well-being. These worksheets provide students with topics on FICO credit scores to be used while exploring the FICO website. This webquest is great to be used in the consumer credit unit within financial algebra. 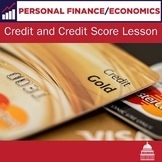 In this activity, students will use an online FICO credit score estimator to compare the credit scores of two hypothetical college students and offer them advice on improving their credit. Using research from Credit Karma, students analyze data on the average credit score. NGPF Data Crunches ( cli.re/ngpf-data-crunch ) teach your students key personal finance concepts while also honing their analytical skills. 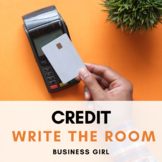 Money Skills 101- Credit Cards, Credit Scores and Checkbooks Made Simple!